While waiting for the last units of my guard army to arrive, I've put together a small side project. I present to you a rogue trader Blodwyn Menasko, the self-proclaimed Princess of Blades. And her retinue. 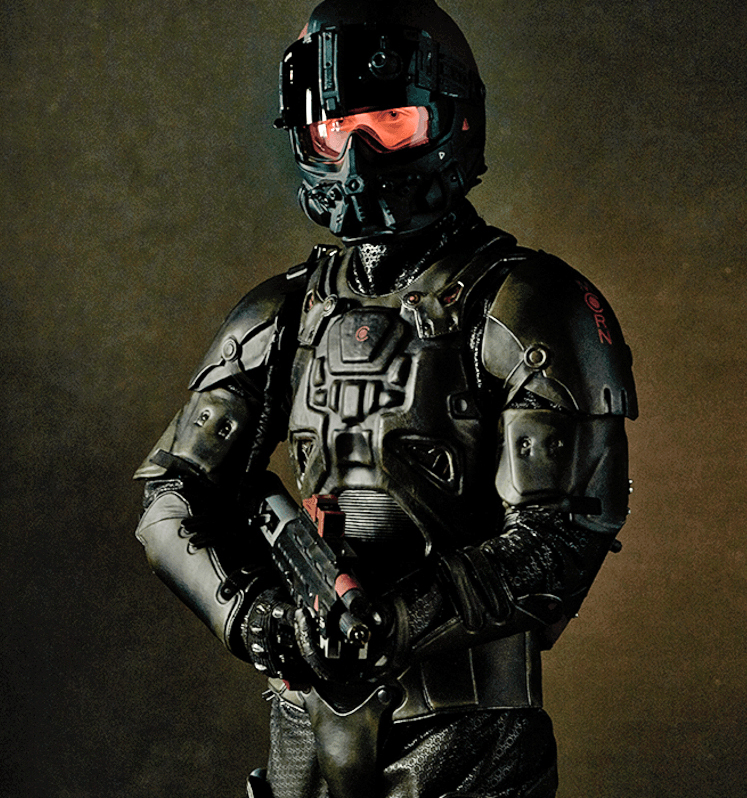 When choosing the miniatures for the rogue trader dynastic troops, I first thought that they will have to visit very inhospitable worlds, so the void-proof armour will be essential. 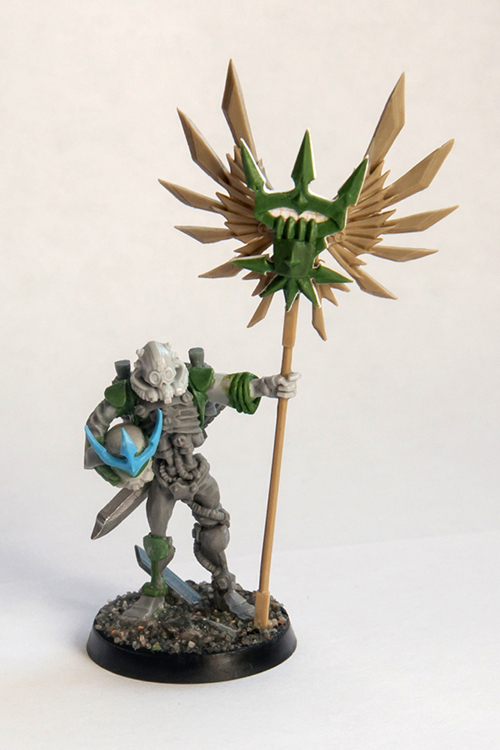 With that in mind, I took Solar Auxilia Veletaris models and converted them for 40k era. For starters, Volkite weaponry just screams 30k to me, so it had to go. 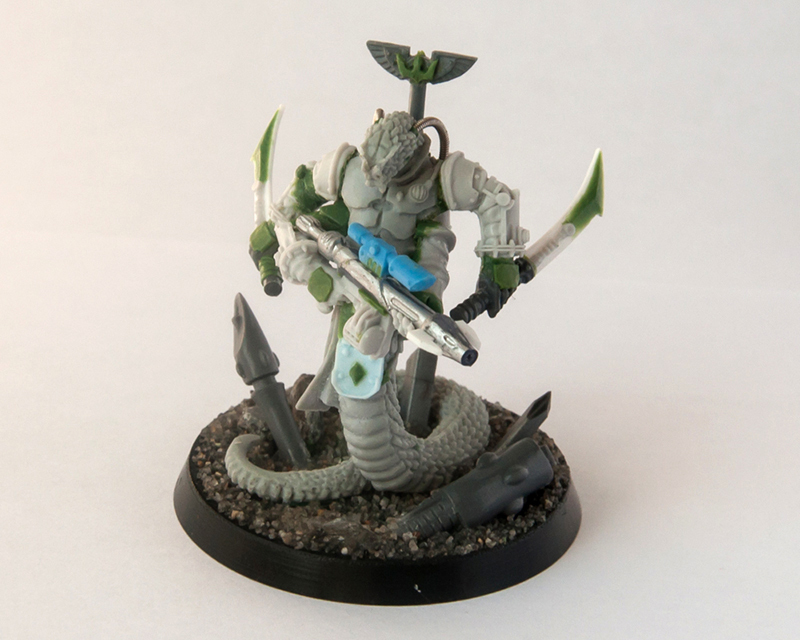 Rogue Trader bodyguard are going to be armed with the best weapons money can buy, so hot-shot volley guns made sense, especially given that it makes them usable in 40k, counting as Tempestus command squad. Other signature Auxilia elements are Veletaris' helmets and backpacks. The latter were replaced by a pair of grav-chutes - an essential equipment for hazardous landings or traversing the low-gravity environment of a damaged spaceship. The same grav-chutes were issued to the rest of the retinue for a somewhat unified look. 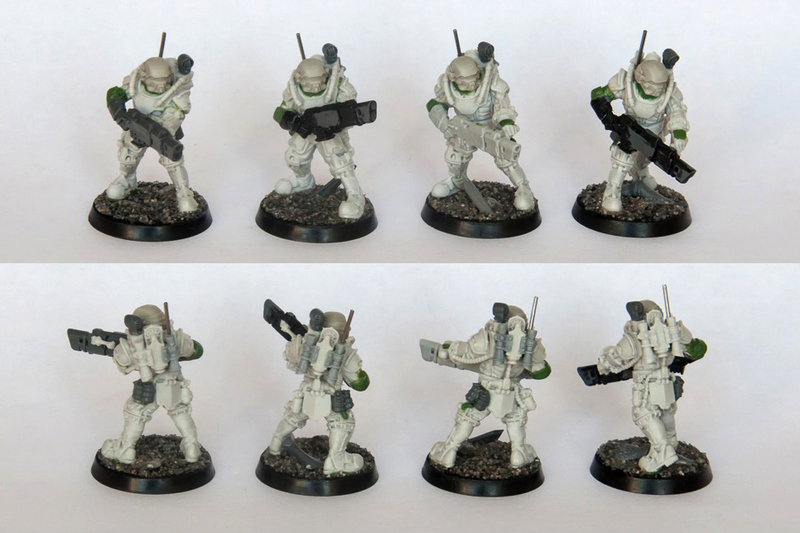 And after changing the helmets, the troopers started to resemble MCRN marines from The Expanse - one of my inspirations for the project. 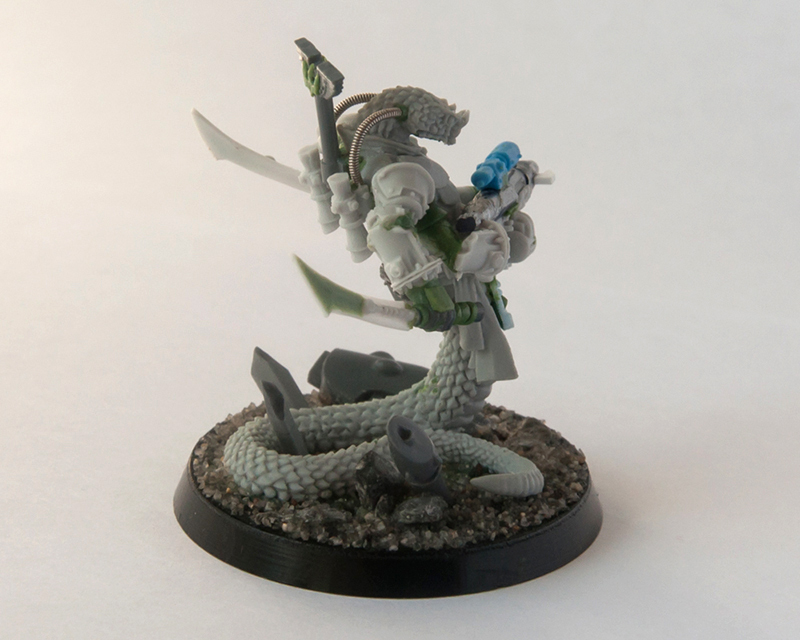 The rogue trader herself is made from a limited edition knight scion miniature. As is evident by her weaponry, Blodwyn is closely tied to the Aeldari race, although it is unknown if she has some shodowy dealing with the enigmatic xenos, or hunts them in search for their arcane technology. 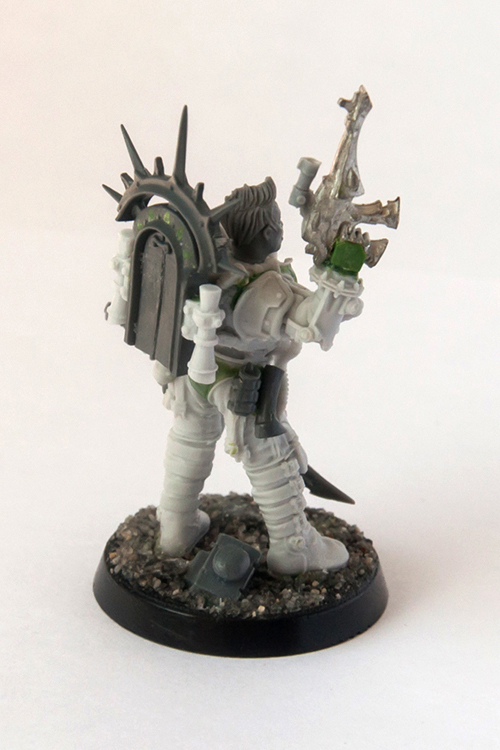 She has a backpack taken from AoS Retributor, that, as I imagine, houses a small stasis chamber, where she puts the most valuable artifacts discovered. 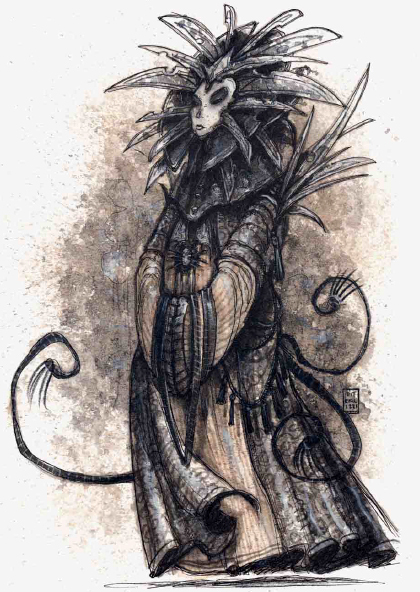 Blodwyn's look was partially inspired by the Mako Mori suit from Pacific Rim, and partially - by a Lady of Pain from good old Planescape Torment. Such a figure needs a standard bearer to show to everybody who they're dealing with. I've made him by adding augmetic Skitarii parts to a body of a Cryx Scrap Thrall from Warmachine. The way I see it, this individual has served the Menasko dynasty as a steward for many generations and there's not much of his organic body left by now. He holds the Princess' decorated helmet in one hand and the standard with the dynasty symbol in the other. The gauntlet grasping a crown serves as an illustration of the ambitions rogue traders are well known for. 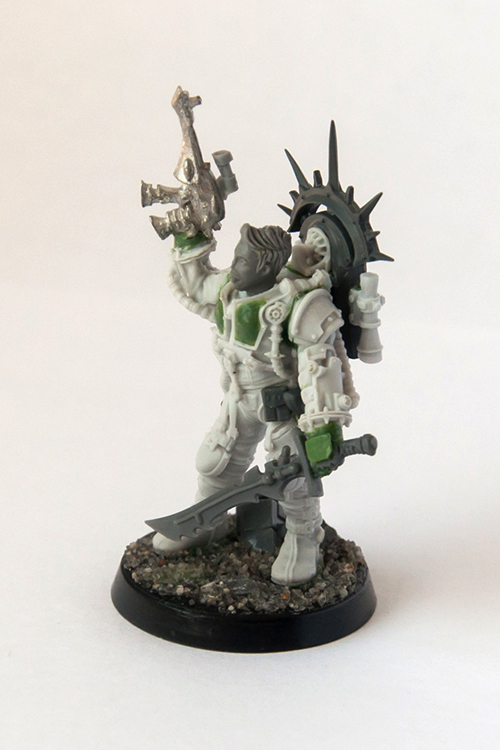 The most unusual member of the retinue is this Sslyth mercenary armed with dual power blades and xenos rifle. 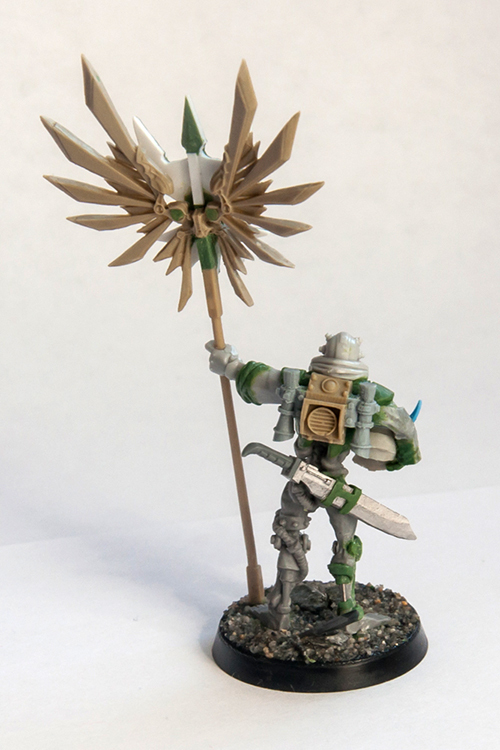 He is fitted with a small dynasty symbol on his back as a warning for potential allies. Wanting to make him as void-proof as the rest of the crew I've added a pair of breathing pipes, implanted into the sides of Sslyth's skull, similar to those Cad Bane features in Clone Wars. The way I see it, the creature once served at Archon's court, but is now is employed by the princess in a more advisory role: his knowledge regarding the Aeldari motivations and domains helps her in dealings with the enigmatic xenos. So that's my new squad. Most of it can be actually used in 40k, but, naturally, smaller scale systems like brand-new Shadow War: Armageddon serve as much more interesting ruleset. I better take a look at that, there's surely a lot of interesting ideas to be found. 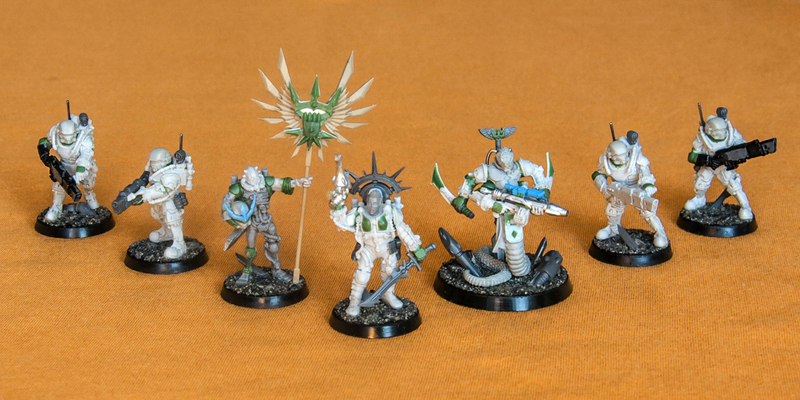 Very nice conversions and green stuff work! The snake guy is very original. Her base planet should be Sigil! Actually Sigil is probably in the Webway with all those doors. Never mind. 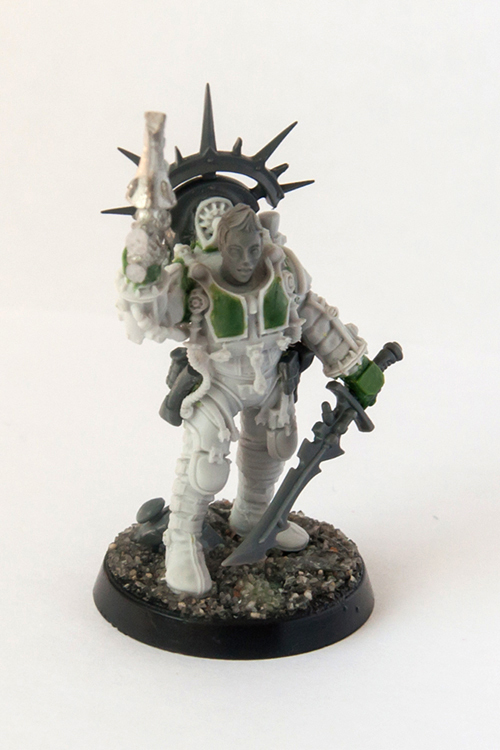 Fantastic conversions and a great back story! Wow, talk about compliments from the master. Nice to hear it, good sir.